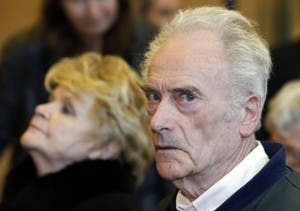 PICASSO’S former electrician is on trial, accused of stealing artworks worth up to €100 million. 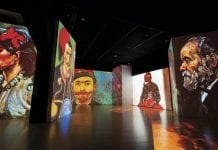 Retired electrician Pierre Le Guennec, 75, and wife Danielle, 72, insist that the Malaga-born artist’s second wife Jacqueline gave them the collection of 271 works as a present in 1972. The couple kept the works – including hundreds of unsigned lithographs and sketches and portraits of his former wife and girlfriends – in their garage in southern France for nearly 40 years. However, in 2010 they took the works to be valued by the Picasso Foundation in Paris and were arrested. Picasso’s family told the court in Grasse, France, that the artist would never have given such a huge gift. 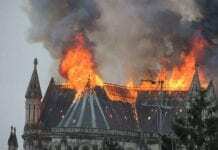 Picasso’s granddaughter Catherine Hutin-Blay, agreed the former electrician had a special relationship with the artist. “We really trusted him. He was someone who was very familiar in the house and had an absolutely friendly relationship. The prosecutor is not seeking a prison sentence for the couple, saying that a five-year suspended sentence would be sufficient. The verdict is set to be announced on March 20. I tend to believe the “sparks” on this one. The items would not have seemed so valuable at the time they were given. (or removed if that was the case) Impossible to prove either way now, but guess who will win?